Its of course better than a singular star, but the last episode I can download is February 8, 2019. I've unsubbed and re-subbed, but to no avail. I don't have this issue with any other podcasts. This podcast gives me something to look forward to every week. It’s simply the best. This is my all time favorite podcast, across all categories and genres. House at its finest! Well done ! Keep doing tracks like these ! Finest selection ! I look forward to the weekly mixes. Great for night time driving! I look forward to this podcast every week. Keep up the good work. This is by far the best deep house podcast available. Very groovy and cool, unpretentious. I havent been able to listen to it for a couple of weeks. Panic is setting in, workouts aren't the same, happiness is gone. Please come back! Great music BUT why can't I listen to older episodes? When I am with that special someone I play Deep House Cat and it always puts me in the mood, keep up the great work and thank you for some many hours of pleasure! Very sweet music podcast! Well done! Очень хороший подкаст, вечерами слушать одно удовольствие, приятный дип, разнообразный, легкий и сладкий. Так держать! Привет из Киева! The many sick beats and cool tunes incorporated into these podcasts make this music experience amazing and make Deep House Cat worth listening to! I have to say, this podcast is spectacular. There is little to no "fluff", only the 10 second intro to the podcast and for their guest. It's consistently all about the music and has not changed for the past few years. While the music selections can certainly vary from one end of deep house, to more of funky jazz or even a industrial dub-step, the guests are consistently talented regardless of what they are playing. I cannot begin to tell you how many cool and unique songs I have discovered, shared with friends or in some cases only played it alone and made it my special "me moment" song (yes, I dance to it too). Thank you! Lots of mixing at the wrong times: melodies and baselines in different keys over one another and mixing vocals over each other= bad taste. I hate to write reviews like this and I hope it helps whomever mixes in this podcast. Listening since 2006. Ish. Can’t go to clubs anymore, so I turn this on and dance. It makes me happier. I have a lot of music podcasts but the Cat is consistently excellent! My favorite. great mixes, just what i needed in the office to bang out a design project. high energy, head bobbing, let get some work done! thanks! The podcast is dependable and has an outstanding array of great house music. Yes the style varies a bit, but so what? They push out more music on a consistent basis than any other house music podcast. LONG LIVE DHC! I need it. YOU need it. Get it. Might be a couple trancey feeling kinda songs here and there but the majority of it is SO worth it. Awesome. Utterly fantastic mix. Each episode never fails. Best Deep House Mixes !!! I have listened to many different stations of so called "Deep House" music. Deep House Cat is by far the best in what you would call, QUALITY DEEP HOUSE MUSIC!! Great music all the way from beginning to end!!! Love it! This Podcast Is Awesome Big Recommendation!!! How come no new releases??? wow ....far & away best house station! Best deep funky house mixes I have ever heard. Super talented DJs make for a flawless mix each time. I hope this is around as long as I live! No doubt this is ze best electronic music podcast on iTunes! if you want quality music,look no further. BY FAR, THE HOTTEST PROGRAMMING, PERIOD! Never slows or drags...Technically Sound...This is what I hope for when I step out to any event...s#%^.....I'm staying in from now on! I give you guys 10 stars cause 5 stars is not enough. Thanks for having your podcast here. There are really awesome deep deep house tracks here. Contrary to the previous most helpful review, a lot of your selections are super smooth. 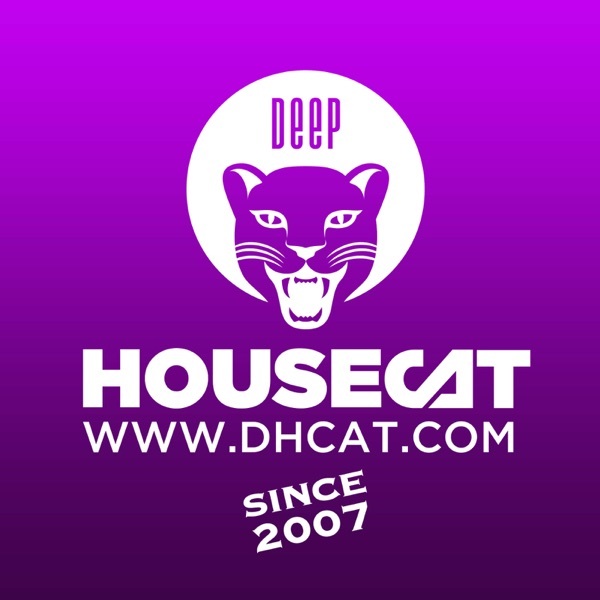 Deep House Cat, to me is by far the best Deep House podcast. I've been looking for a long time. I've Finally found this. I've listened to quite a few of these Deep House podcasts and have to say I have yet to find one that is better than Deep House Cat. The beats are the right mix of deep and energy that can quickly get you out of your afternoon slump. Give it a try. I only wish they could put out two mixes a week, but I suppose that is the price you pay for quality. I'm new to the podcast game, and I love that I found a dope house station that brings the groove I've been searching for!!!! Thanks a bunch & keep on rockin them beats! Different house blends. Something for all house heads. This is one of the best podcasts that i had ever seen I really recomend this to anyone who wants a nice and relaxing house I like specially from the SSRadio Podcasts i've got all the podcasts from them Great sound, great quality, great musics, just great. I've been listening to Deep House Cat for three years and counting... it's the only podcast that's ever motivated me to donate – I don't ever want it to go away. By far, DHC provides the most consistently enjoyable and smooth mixes available. That's not to say that other podcasts like Deeper Shades of House and Boogie Therapy don't offer excellent entertainment, but without question, the Cat never fails to deliver something I look forward to listening every week. Thanks, DHC – don't ever let the party stop. Deep Baby!!! Perfect podcast for those with sharp ears. Keep it Up!! !